The first time I met Ellen and Noah from Sweet Caroline's, I couldn't decide which was more delightful - the conversation we had or the amazing Strawberry Lemonade Shaved Ice I was devouring. The truck itself is darling, halved with light blue and white, and I could instantly see what all of the hype was about. With no hula skirts or tiki torches in sight, Sweet Caroline's has a timeless design that would make a great addition to any event, no matter the theme. The shaved ice was phenomenal and I tried one of the cookies they use for their ice cream sandwiches and I haven't stopped thinking about it since. After chatting and snapping some photos, I hopped in my car and called both of my sisters immediately to tell them about the truck - it was THAT cute. All three of us ended up stopping by the truck later that same week at their First Friday event hosted by Lead Bank, and again I was floored. Not only was the shaved ice out of this world but the people behind the business were patient and energetic and eager-to-please. My sister (a regular Friday night babysitter), brought two children with her. Noah and Ellen were attentive to the kids while they waited for the event to start, even showing them the inside of the truck (and effectively blowing their little minds). 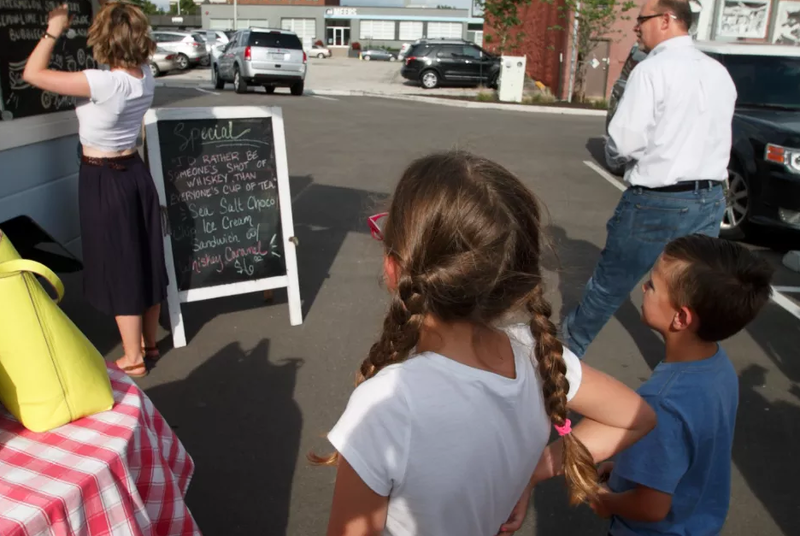 The shaved ice and ice cream sandwiches are good enough to stand on their own, but the kindhearted nature of Ellen and Noah really set Sweet Caroline's apart for me. 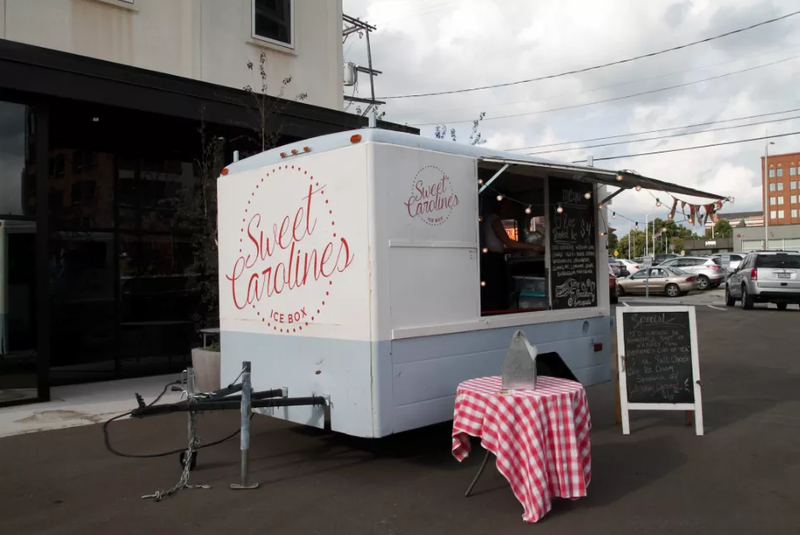 If you have an event coming up, contact Sweet Caroline's. The truck will be the most talked about element of the party and is just as adorable as it is delicious. I can't wait to follow Sweet Caroline's around all summer. There is no better way to beat the heat than with sweet treats, shaved ice, and great company. Andie Bradley is As excited as you all should be to try Sweet Carolines!